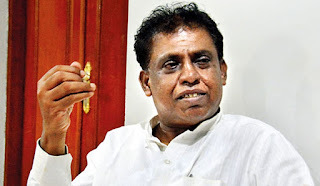 Sri Lanka had assured the UN to investigate and hear war crimes allegations during the final stages of the war in the North, its been four years and nothing has been done so far, said Northern Provincial Council member M.K. Sivajilingam. Therefore, he said measures would be taken to notify the United Nations Director Board regarding this situation through the UN organisation. Hence, Sivajilingam noted that he would notify them regarding this situation during the UNHRC sessions in Geneva between February 25 and March 22. Sivajilingam added that the government had promised on October 01, 2015 to investigate and file charges against those who have committed war crimes and to give a final political solution to the Northern issue. The government had also obtained a grace period of two years to implement these pledges, he said. However, the Sri Lankan Government had obtained another two year grace period during the UNHRC sessions in 2017 until March 2019. Therefore, Sivajilingam said that four years have lapsed and nothing has been done to honour the pledges made, and during the UNHRC sessions on Sri Lanka on March 20, he proposes to request the UN to have these war crimes cases heard by Commonwealth judges.